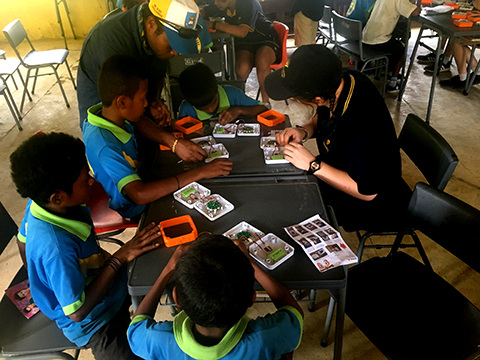 Students at Beaconhills College, Melbourne have signed up to SolarBuddy’s school program for the second year running with students assembling and donating solar lights to children living in energy poverty. The donated lights help mitigate the effects of burns and smoke inhalation from kerosene lanterns and wood fires and assist the students to complete their homework and study for a better future. The experience for the students at Beaconhills has been life changing. “I often say we live in a bubble of privilege and this is an eye opener for them,” says Clare Tuohy, Beaconhills Head of Citizenship and Service. “The kids love the program for a number of reasons but what I love most about it is seeing that they make a huge difference to somebody’s life doing this small act of kindness - donating a light.” The program is compatible with the Colleges Learning That Matters framework and the philosophies of Learning, Values and Character, Environment, Citizenship and Service, Our World and other Cultures and Wellbeing. In 2017, Year 8 students participated in the program and sent lights to Papua New Guinea and Uganda. The program was also taken up by Year 10 students who travelled to Timor-Leste as part of the Beacon Explorers international program and delivered the gifts directly to students living in the Ermera District. The College is looking to expand the program even further by engaging more of its students as well as the local school community in the program.